Going into GDC last week, I didn’t know what to make of Dying Light: Bad Blood. A standalone expansion-slash-add-on, Dying Light developer Techland claimed it was “inspired” by battle royale games. Quite a change for a story-centric zombie game, and in this post-PUBG, post-Fortnite world I’m automatically suspicious of studios jumping on the battle royale bandwagon—a skepticism built from five years of people tricking me into seeing their terrible MOBA spinoffs. But I have to admit: Bad Blood is a hell of a lot of fun. It’s not really a battle royale mode anyway. With only six players per Bad Blood match, it’s a far cry from the 100-person showdowns for which the genre’s known. This is more like a normal Call of Duty mode combined with Dying Light’s systems or something. Not too surprising: This was an engine built for a singleplayer zombie game with some light co-op elements, not large-scale multiplayer. Even if Bad Blood is just a smart take on Dying Light multiplayer, that’s still plenty compelling. Melee combat is as weighty and brutal as ever, with all manner of sledgehammers and knives and scythes to take down your opponents. It’s also much more mobile than other battle royale games—even Fortnite. 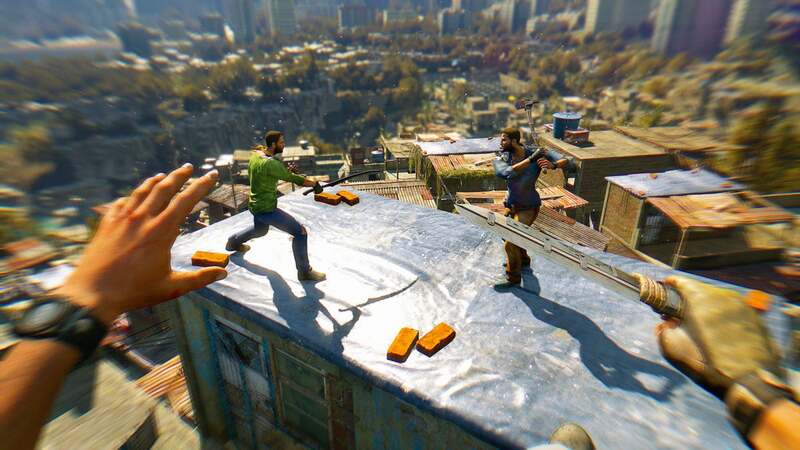 The first-person parkour that contributed to Dying Light’s success is fully intact in Bad Blood, meaning players are constantly vaulting across rooftops, scaling walls, sliding under traps, and so on. You can see where Bad Blood’s drawn inspiration from PUBG though. All six players are airdropped into Dying Light’s zombie-infested city of Harran with no weapons, no items, nothing with which to defend themselves. Those first moments are a mad scramble, snagging the first rusty knife you see and then vacuuming up any nearby medkits. It's less urgent than you think, though. Hours of Dying Light proper made me anticipate zombies as a constant and immediate threat, but in Bad Blood the zombies mostly congregate in specific “Hives” with an accompanying Hive Boss at the center. You can spend a decent amount of time looting containers and gearing up at the beginning without worrying a stray zombie will chow down on you from behind. Then the grind begins. See, in addition to grabbing more and better loot, Bad Blood centers around...well, bad blood. You’ll need to kill Hive Bosses to get blood samples. Blood serves a dual purpose: You’ll need a certain amount of it (about 5 or 6 bosses worth) to trigger the end of a match. 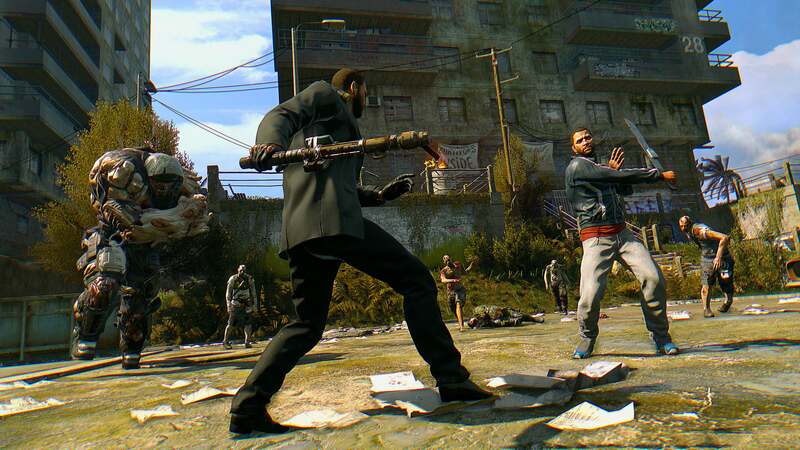 Nabbing blood also upgrades your character, in an abbreviated version of the Dying Light skill tree. Over the course of the match you’ll get stronger, deal more damage, accrue more health, and so on. Each match becomes a balancing act. You want to grab gear, upgrade it, and then bolster yourself with blood samples. At the same time, your enemies are doing the same. Knowing when to abandon one hunt and start tracking down your fellow players is a key part of the experience. IGN captured a video of an entire Bad Blood round, which we've embedded below. My favorite tactic: Waiting until another player is fighting for their life against a Hive Boss—particularly a Behemoth, the armored rock-throwing monstrosities from the main campaign—then swoop in and hit them in the back of the head. Yeah, it’s dirty, but it gets the job done. Killing enemy players also lets you absorb all their blood samples, which can be a huge boost in the late game. Matches end with a mad dash to a helicopter. Whoever maxes out their blood samples first triggers the chopper landing, with the location appearing to every surviving player. Everyone sprints towards the extraction point but only one person can win, meaning the last moments are usually a miniature battle in their own right. I’ve seen it go both ways, with a player being so far out ahead that they’re able to take on all comers, and also a match where someone showed up to the extraction point with better gear and managed to steal away a victory with a deadly headshot—guns are rare, and whoever's lucky enough to nab one from an airdrop is a scales-tipping threat. It’s good fun! Honestly billing it as a battle royale mode, or even “inspired by” battle royale modes, probably does it a disservice. It gives it a me-too feel, whereas Bad Blood is one of the few games (along with The Division) that’s actually taken those ideas and put an interesting spin on them in a way that supports the strengths of the original game. Dying Light’s loot system and parkour were already itching for a competitive mode, and Bad Blood makes good on the concept. No idea when it’ll release, aside from “later in 2018,” but I’m looking forward to dipping back in to Dying Light again. 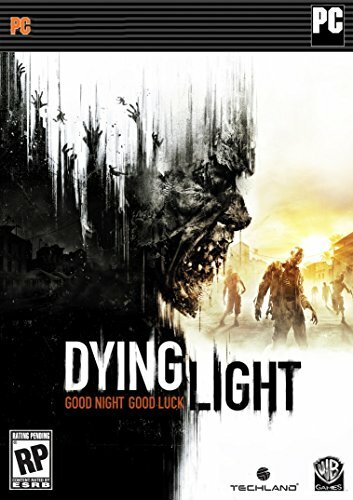 Never would’ve guessed that’d be the case, nor that we’d still be talking about Dying Light more than three years after release, but I can’t say I’m disappointed.